The multinational sports retailer INTERSPORT is spreading their brand concepts to over 5500 stores worldwide. At the end of 2016, their board of directors decided to challenge the current positioning of the INTERSPORT brand, carrying out a couple of strategic initiatives. This was the start of a major brand repositioning aimed to provide their organization with a sharper, more dynamic brand experience. 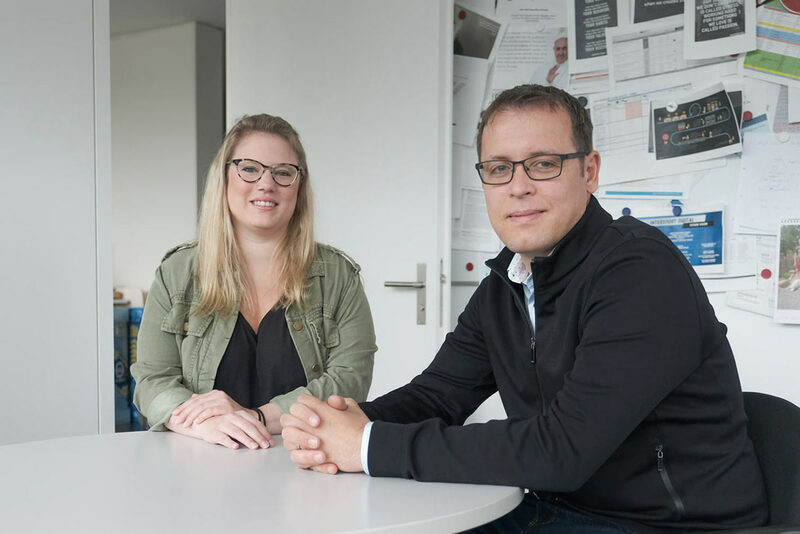 We sat down with Franz Penka (Global Marketing Director) and Tina von Känel (Marketing Coordinator) in the spring of 2018, at that time the project was already in full swing. As a first step, the clear-visioned marketing professionals shared a common goal: to digitize their brand world, while additionally highlighting specific parts of their sporting universe. Before centralizing their brand with Frontify, a Swiss-based marketing team outlined the marketing guidelines in static manuals, but left the execution of the branding experiences to the various markets individually. 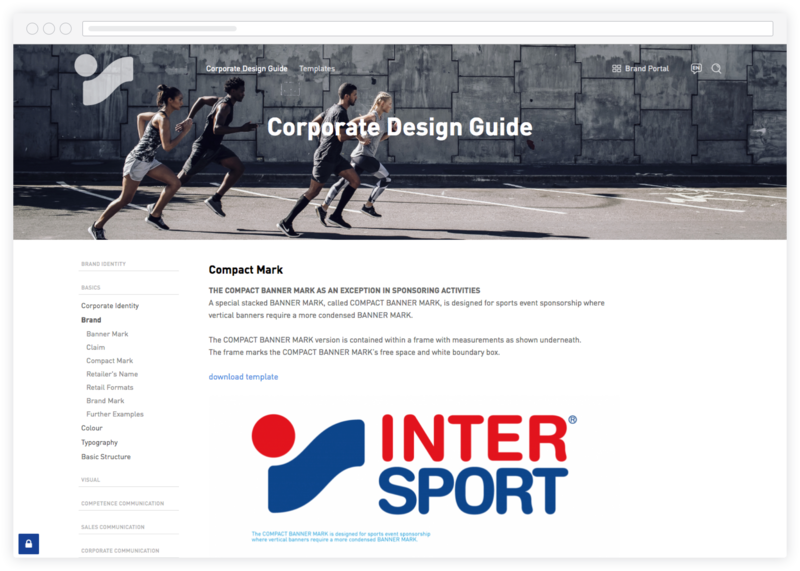 With every market representative having their own static brand guidelines sent to them physically, the lack of interactive and living guidelines led to free interpretation – undermining the value of the INTERSPORT brand on a daily basis. A change was needed. “The time to dismantle the static guidelines, in favor of a digital solution, was now." The iteration process and pragmatic setup of Frontify was part of the excitement felt, as INTERSPORT's branding agency Kunde & Co introduced them to the software. The ability to always stay on-brand, moving away from confusing static guidelines, brought them one step closer to a healthy and dynamic brand with a globally unified platform. The implementation of the centralized brand hub enhanced collaboration between employees and retailers, significantly boosting the brand's performance and overall consistency. 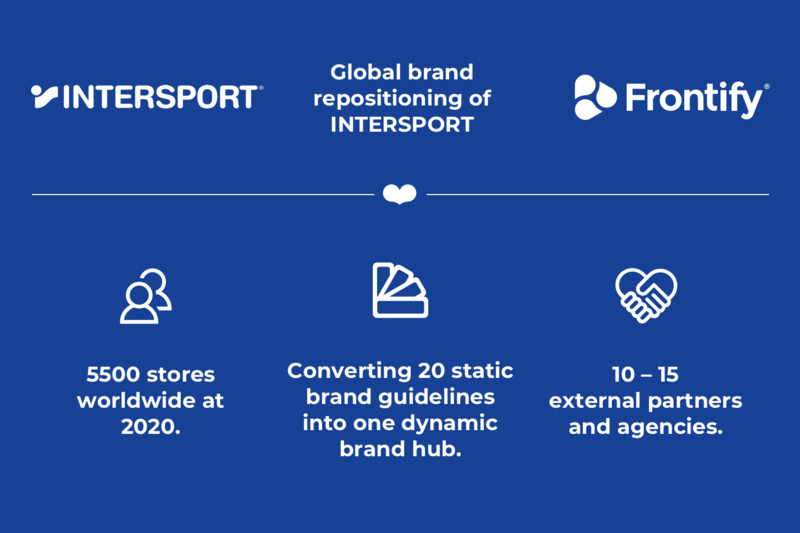 With a new digital branding platform, INTERSPORT increased their overall fun-factor – helping breathe new life into their brand; something that could be noticed immediately by the decrease of personal asset requests, and rapidly growing number of platform users. “After a couple loops of feedback from our many global marketing teams, we could see the positive difference in brand collaboration and overall consistency. Providing relevant and updated content was the key to that success. Now, all the requests for downloadable PDF brand guidelines can be denied with a clear conscience." We all know that the life of a brand is never over. For INTERSPORT, it's no different. In addition to their new brand hub, an entirely new store concept has been created and placed in Frontify. 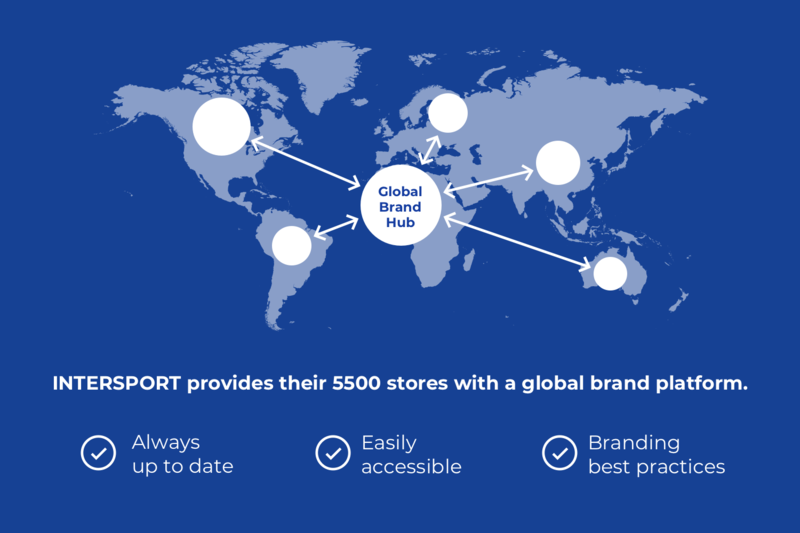 INTERSPORT also intends to further develop their branding activities; by reusing every digital asset to its full extent, they will drastically increase every asset’s life cycle – saving time, money, and effort. To make branding a natural part of every employee’s life, INTERSPORT plans to roll out their brand hub to a variety of other markets in the future, making their new brand guidelines easily accessible for everyone – taking their global organization from push to pull and creating a well-oiled team of global brand ambassadors.